Hosting dinners is difficult, but I fully enjoy doing it. There is something about showing off my cooking skills and the praise that comes from it that I love. Wonder why. It could also be the welcoming people into my home and giving them a well-made meal and an opportunity for conversation. 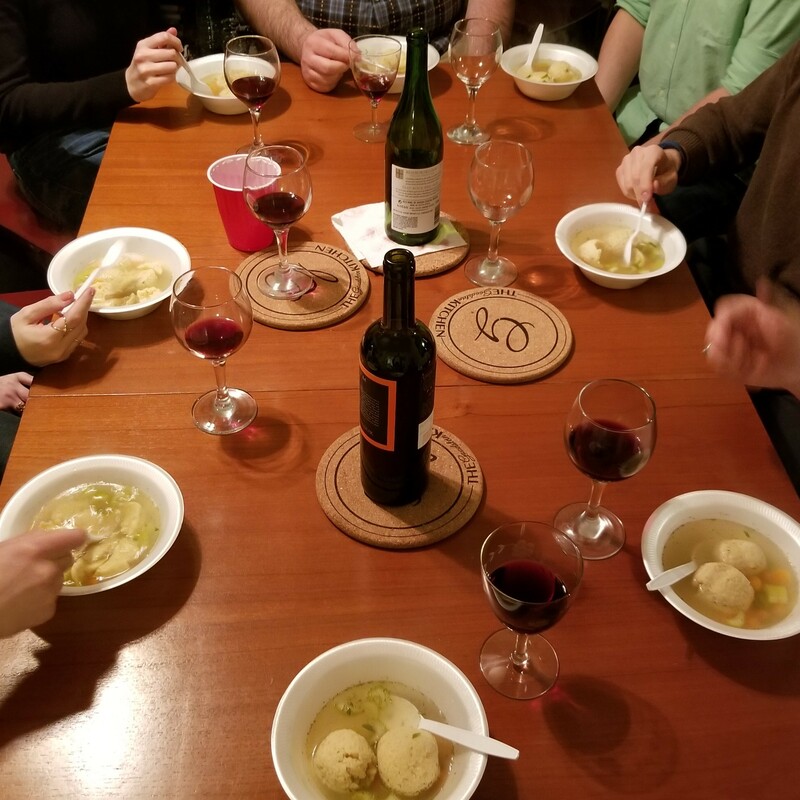 Recently, OneTable, an organization that wants to bring people together for Shabbat dinners began organizing and sponsoring dinners in Pittsburgh. OneTable has a goal of helping hosts create an evening of meeting new people or reconnecting with those you already know. Last week, I hosted an OneTable Shabbat dinner and I thought it went great. OneTable is a Jewish associated organization with a goal to get young post college Jewish adults to come together to continue the traditions of Shabbat for people who don’t experience them regularly. 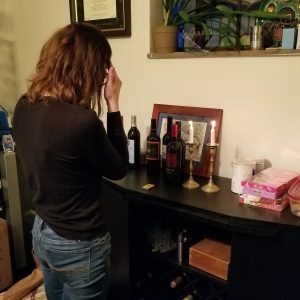 A primary tradition is the family dinner with lighting candles and prayers over bread and wine. OneTable gave me the opportunity to invite friends and if I so wish, strangers (potential new friends), Jewish and not, to continue these experiences. 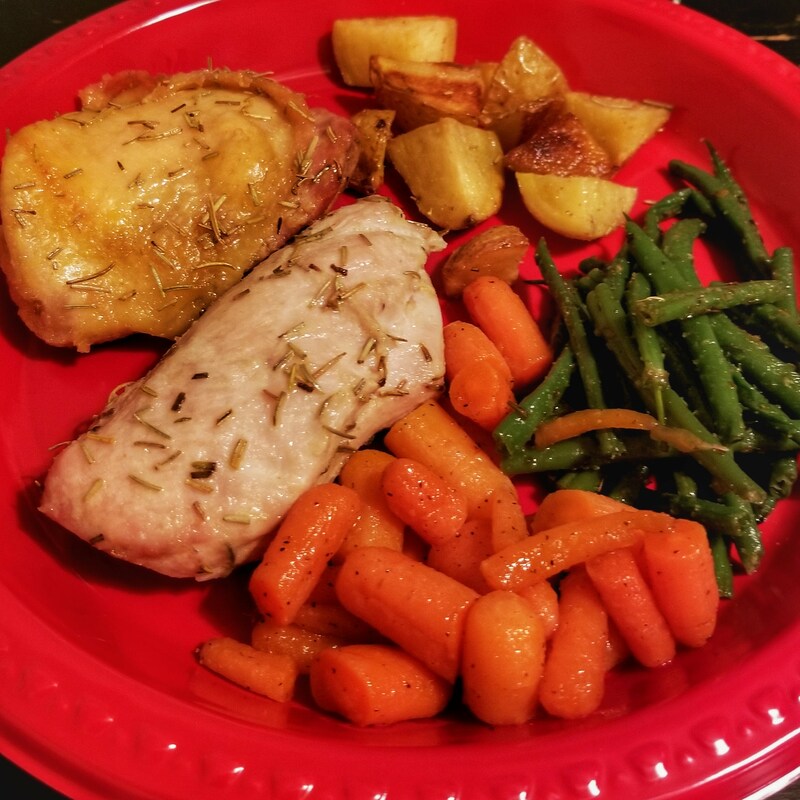 Through OneTable, I registered my dinner and they give you resources to properly host the dinner such as reading materials, recipes, guest list management and a stipend toward providing food. 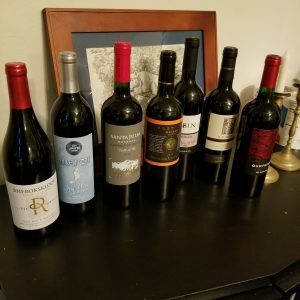 A nice thing about OneTable is they give the option to so a more traditional family dinner or to do non-traditional dinners like BBQs, pizza parties, themed events, and dinners at restaurants or big events. For my hosted dinner, I ended up having to go the more traditional route as it was still Passover. For my dinner, I decided I was going to provide everything except wine. I made sure to have appetizers, soup, main course and desserts. My guests did not disappoint by bringing many bottles for us to enjoy throughout the evening. 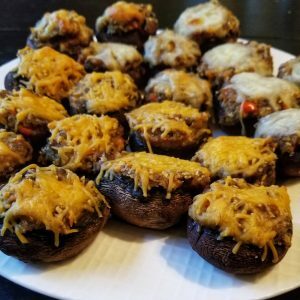 My appetizer course, I provided cheese and matzo, veggies and dip, and suffer mushrooms. This was my first time making stuffed mushrooms at home. I modified my recipes a little bit for Passover and used matzo meal instead of bread crumbs and also did not include any meat or seafood in the stuffing. I was pretty happy with how they turned out after baked. I would make them again for events. 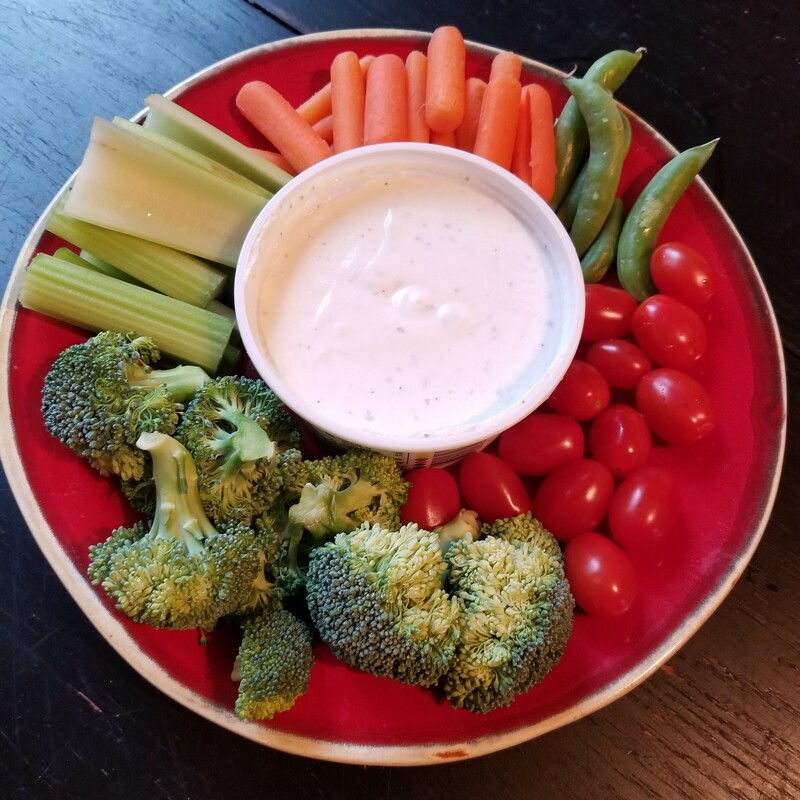 The veggies and cheese are just great appetizers to have out for any home dinner because people will eat them since it’s all in front of them. After appetizers, I had our group do some of the traditional Shabbat prayers. I personally feel covering the main three prayers of bread, wine and candles is more than enough. A pro tip is to make sure to have people at your dinner who know the prayers by heart. Then they will go much more smoothly. Main course I offered a starter of matzo ball soup. I cheated and used the matzo ball mix and bought chicken broth. I then cut in some carrot and celery and added some dill and parsley. I learned do not use the soup mix as people can tell. Going with broth and seasonings was a vast improvement. I’m not a big soup fan, so it’s unlikely I will ever take the time to make broth from scratch. By the end of soup, we were probably on bottle 3 of 7 wine. The main course was roasted rosemary chicken and potatoes, sautéed green beans and glazed carrots. Since it was Passover and because I had to be at work all day, my menu choices were a little limited due to cook time. However, everything turned out great. All of those items cook relatively easy and you can prep all of it the night before and then just cook the next day. A nice thing about OneTable is if you can’t cook, they don’t prevent you from hosting a Shabbat. If I decided I didn’t feel like cooking, they give many options for ordering takeout or not even eating at a house. I have attended other OneTable Shabbat dinner where we ordered pizza and wings. I opted to cook since I love to cook and as I’ve said, I love the praise I get afterwards for cooking. We opened bottle of wine number 5 sometime in the middle of dinner. Dessert was Passover Mandelbrot, Passover candies and fresh cut fruit. The Mandelbrot serves as a good replacement for cookies or cake during Passover. Most people don’t realize it’s made with a ton of sugar, butter and chocolate and that’s why it is delicious even though it’s a Passover dessert. If you buy the right Passover candies then everyone loves those. I prefer any of the Passover jelly candies. My fresh fruit wasn’t as much of a hit. I think that that point everyone had enough healthy foods from dinner. I bought and cut fresh pineapple and kiwi. Both ripe and sweet. Their loss for not having some. We also finished all 7 bottles by the time everyone left. Would I host an OneTable again? Totally! It’s an awesome way to bring people together, eat and experience the Shabbat traditions. I believe this organization has helped my friends and me have and attend more regular Shabbat dinners than before. I have also attended a share of OneTable dinners hosted by other people. We’ve done pizza parties and game nights to true family style dinners. I always have a great time, great food and great conversation. If you want to know more about OneTable, check out their website www.onetable.org.